I'll come right out and say it now: this book is heaven. 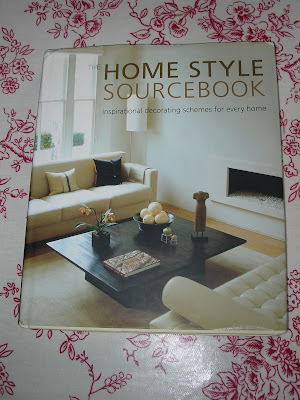 The Home Style Sourcebook is one of a million excellent books by Ryland, Peters and Small publishing. 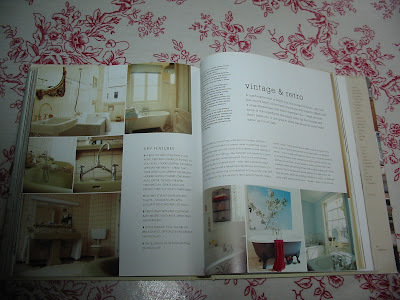 It's written by a collaboration of Leslie Geddes-Brown, Katherine Sorrell and Judith Wilson, who have all written other great interior design books in their own right. 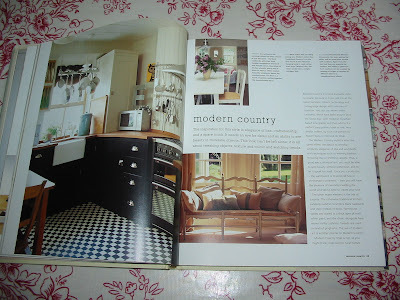 This was the first book I saw that put a name, Modern Country Style, to the look I knew I loved. 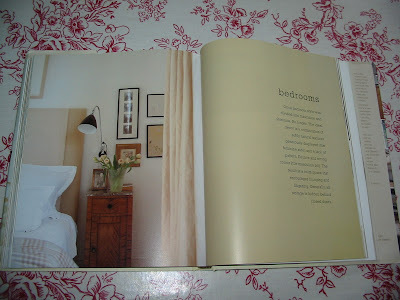 The book is divided into two main sections. 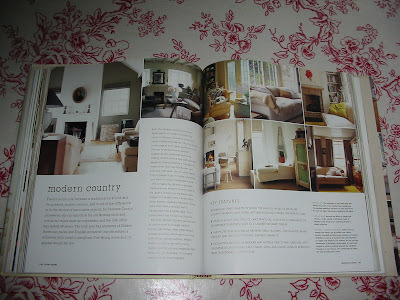 The first examines a variety of different styles: Contemporary (Sleek, Mellow Modern, Scandinavian and Contemporary Modern), Country (Traditional Country and yummy Modern Country) and Period Styles (Classic Period Style and Vintage and Retro). 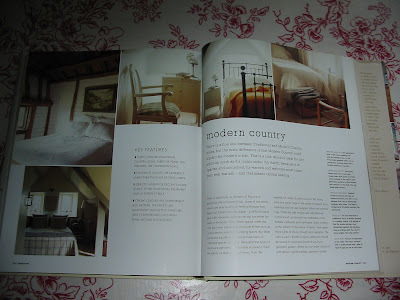 It's not only the Modern Country section that's utterly gorgeous. All the pictures are drool-worthy, and there's some especially good ones in the Mellow Modern, Traditional Country and Vintage and Retro chapters. The second part looks at how to apply these styles to individual rooms, with general application and a case study for each style. 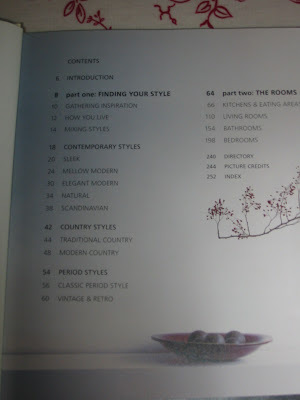 Home Style Sourcebook helps to narrow down specific styles so that you don't end up with a hotch-potch of different looks but, instead, have harmonious continuity throughout your home. This book has to be one of my absolute best, a continual reference, as well as eye-candy. Definitely full marks from me. 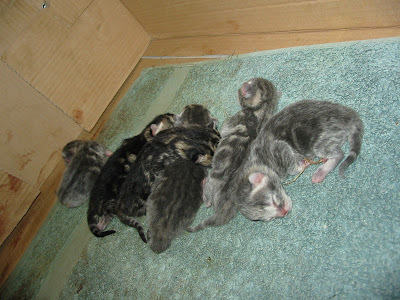 Our kittens have been born! I know it's not, strictly speaking, part of a Modern Country Style blog, but it was one of the most amazing things I've seen in my whole life so I wanted to share it. 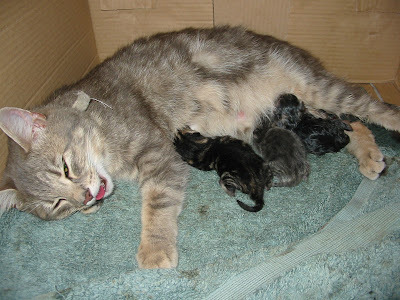 This first picture is of the second kitten, moments after it had been born. Our cat, Pippi, is eating the sac that it is born in. 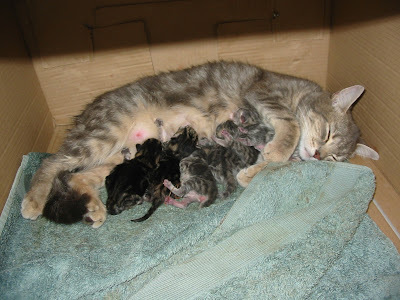 Each kitten is born in it's sac and then its placenta is delivered about a minute or two afterwards. 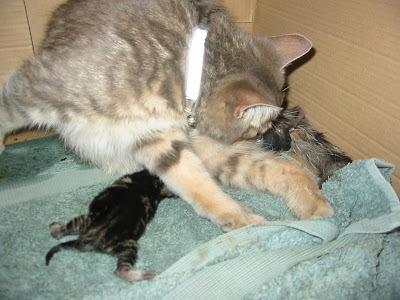 The mummy cat eats the sac and the placenta and bites off the umbilical cord a few centimetres from the kitten. It feels like watching a miracle. How do they know what to do? 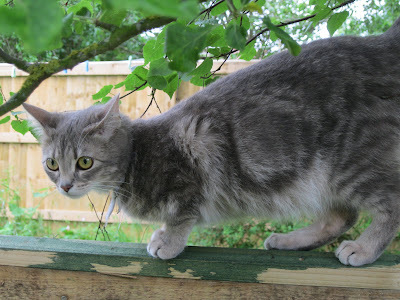 Before the kitten's placenta is born, it can travel only so far as it is still attached. Most of the kittens born reached round and start suckling, as in this shot. 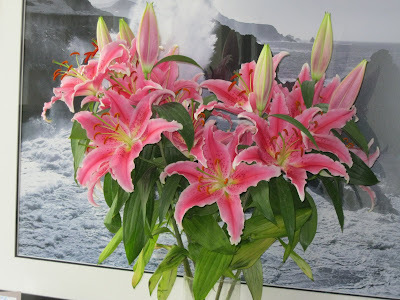 One of the wonderful things about having my very own space to garden is that I can grow lilies.....huge, fragrant, splendiferous lilies! 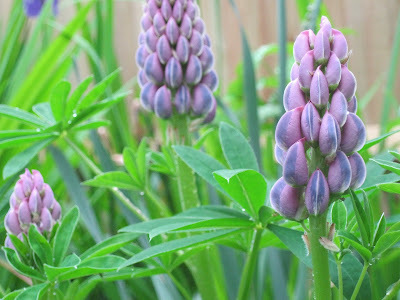 I love them in the garden or picking them for the house - their heavenly scent wafting wherever you put them. Aaaaah. Wonderful. I've been growing them for about ten years now. Five and a half in our current garden. 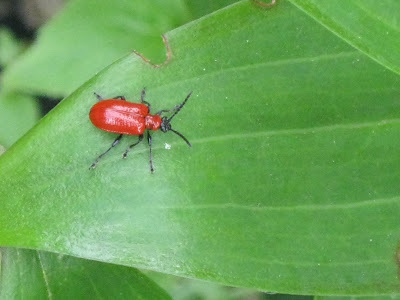 Which has been long enough to sound out to all the wretched lily beetles in our area that our garden is a lily playground. Grrr. 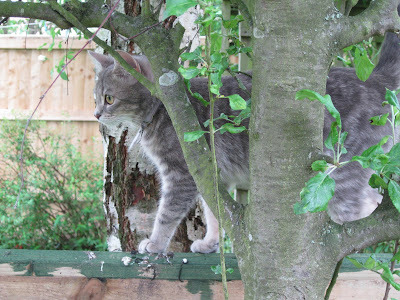 And here is a picture of the same lily seconds after I found it! They are bright vermilion red so easy spot. If you are brave enough to hold them close to your ear pre-squashing, you may hear the bizarre squeak they emit. Very strange. Why would a beetle squeak? 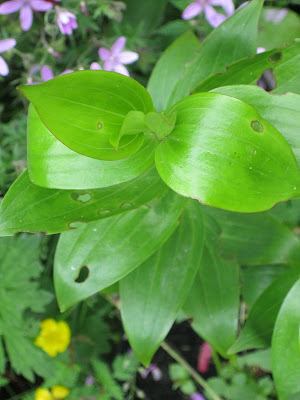 If you grow lilies in your garden, do keep an eye out for lily bettles as the little critters will munch through leaves and can badly distortand even damage the plant. 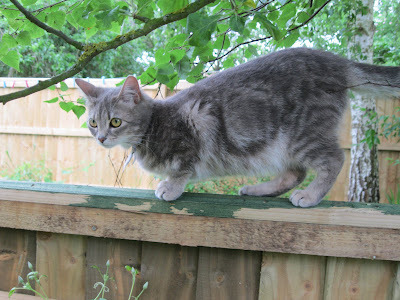 Our lovely cat only has one more week to go before she has her kittens! I can't wait another second! I am nervous about where she might choose to have them (Pleeeease not under the children's beds). I am trying to encourage her into a very cosy cardboard box I have prepared in the bathroom (I'm thinking of easy-to-wipe-clean floors...). The handsome father still comes to our back door every morning and meows for her. Our cat scampers out and they sit and rub noses together. SO cute! 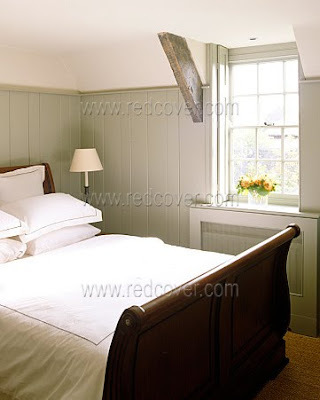 Modern Country Style: bedroom inspiration! 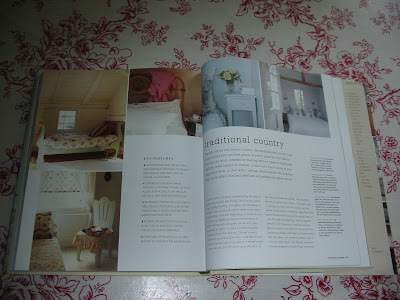 I first saw a picture of my inspiration bedroom (along with the bathroom from the same cottage, which I also covet!) in a book called Home Styling Sourcebook: Over 30 Period Contemporary, Country and Exotic Decorating Styles for your home by Lorrie Mack. After drooling for a while, I looked in the back of the book for the picture credits the photographer is Brian Harrison and the Stylist is David Carden. I googled these names and found the pictures on a FAB site called Red Cover (where all these photos are from). 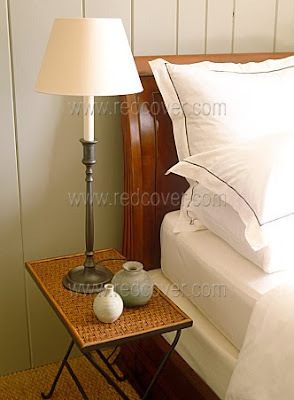 We've got a very similar mahogany sleigh bed so that was what caught my eye. I love the cool greeny-grey-blue colour on the tongue and groove, mixed with the pure white walls. The room has a simple atticky feel, yet it also feels luxurious, with the imposing bed dressed sumptuously, ready to sink into. 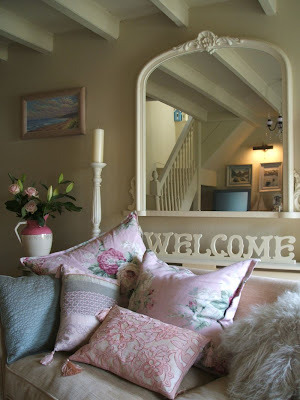 This was the definite starting point of my inspiration for our Master bedroom. It was whilst researching this room that I first really engaged with Modern Country Style. 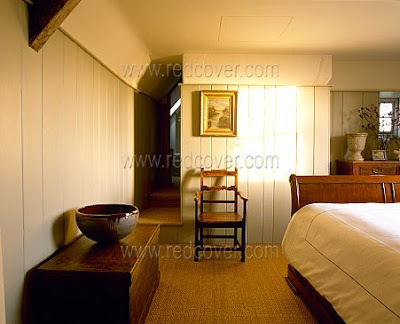 The room has a lovely old wooden beam running across its width and one of the walls is sloping so I wanted to go with the attic feeling. 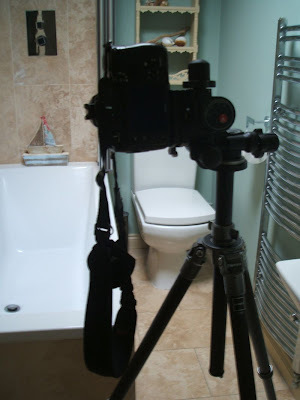 And here is a photo of a photoshoot in action. Jealous? Moi?!! 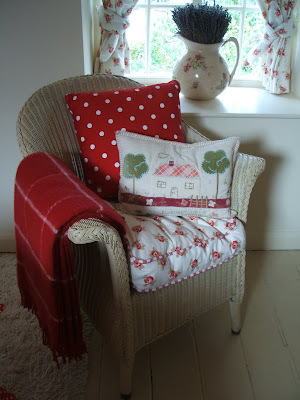 Helen runs a business up North called the Busybee Studio,which is also available online. 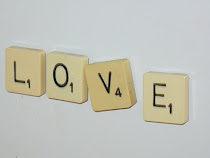 It sells yummy vintage wares and handmade crafts. Have a look! 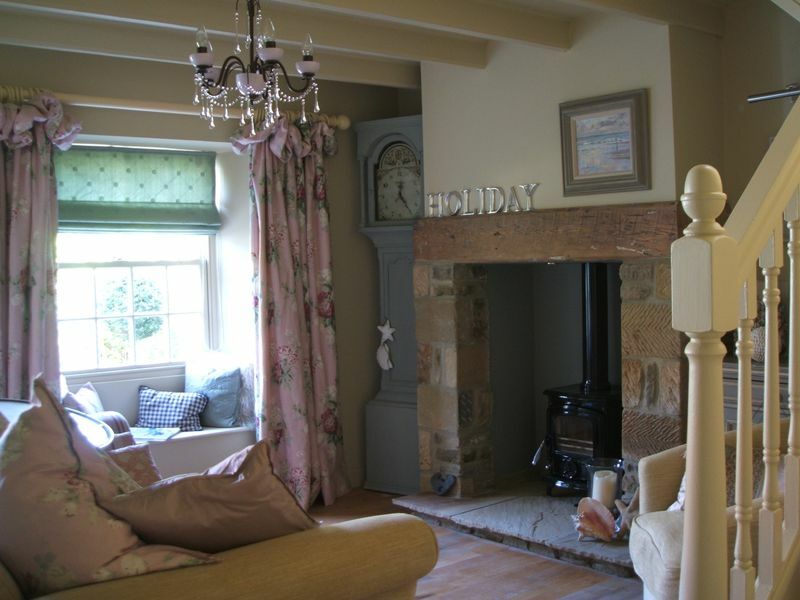 It carries the Modern Country Style seal of approval! 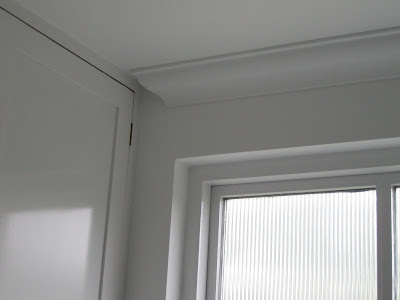 All the cornices have been removed from our house so I have had to choose how to replace them. Typically, Edwardian houses had the most ornate cornice on the ground floor, with less and less detail as you proceed up the house. 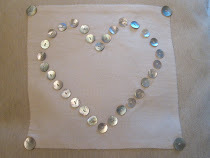 This is the pattern that I have stuck to. Our family bathroom had concave quadrant coving. 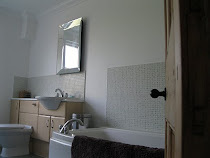 It was quite nicely fitted and made of good solid plaster but not at all in keeping with the look I wanted. I hesitated for a while before replacing it, as it's probably the first thing we've ripped out that was still in good condition, wasn't dated and was only being removed because it simply wasn't my taste, which always seems a bit wasteful to me. At the eleventh hour, I made the decision.....extravagant or otherwise, we were going for the chop! Our plasterer came in with a team of 4 and had it done in a few of hours. 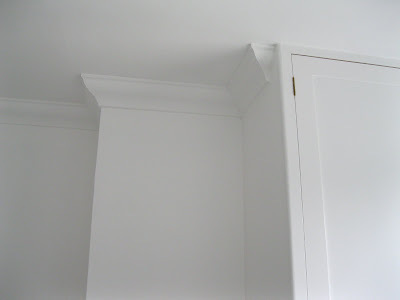 The bathroom is on the middle floor so we replaced it with a swan-neck cornice. The ground floor will be more detailed and the top floor will have none at all. 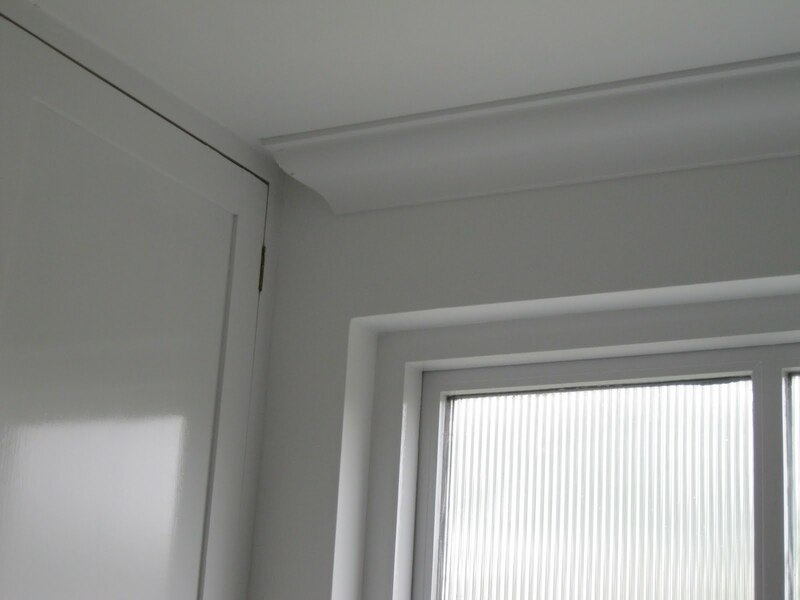 Good quality cornice makes a huge difference to a room, I think. Graceful and elegant. Understated period charm. 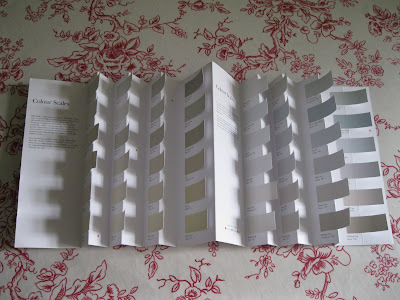 On my most recent visit to our local interiors shop, I found a new paint colour card from The Little Greene Paint Company......a chart with a difference! They call them colour scales. The Little Greene Paint Company have taken their twelve best-selling shades from their 'Colours of England' range and added lighter and darker hues, so that for each original colour their are now four to choose from. Nothing especially new with that (although surprisingly few of the 'posh' paint companies have lighter and darker versions of their colours. Grrrrr.). What is original is the way the chart can be concertinaed to align the colours away from the background of the card, allowing the user to compare the colours like for like (or, rather, shade for shade! 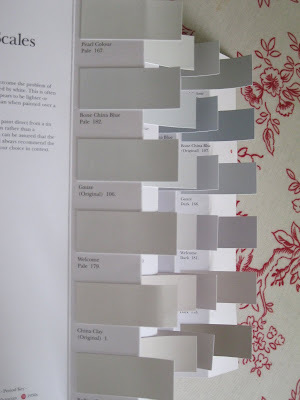 ), instead of being skewed against the glaring white which usually surrounds colour chips. I love the colours they have chosen. 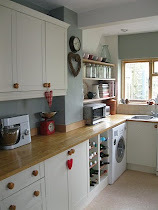 Soft, chalky shades of grey, taupe and cream. Classic Modern Country choices. 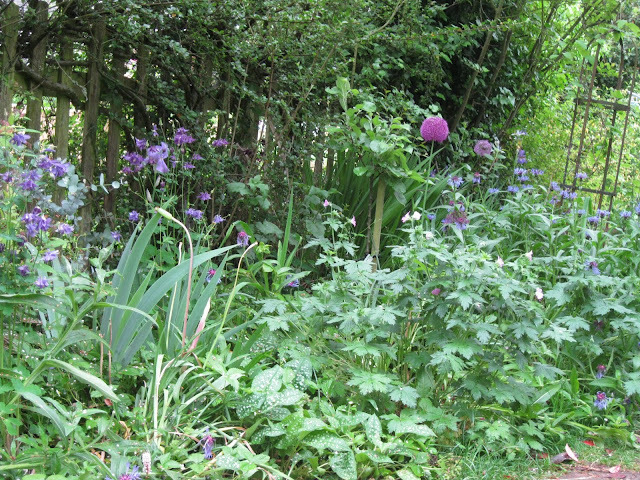 Could there be a Modern Country garden without roses? I think not. And, more specifically, without David Austen roses? The epitome of Modern Country gardening! 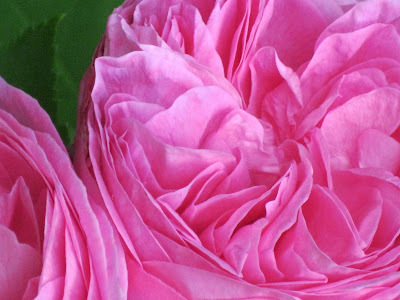 The best of old (fragrance to die for) and the best of new (long flowering times) and all combined with stunning looks. When I was young, I remember gardeners telling me that you could either have beauty or fragrance in a rose (and, no doubt, women!!). That the fragrance had been bred out in the process of trying to achieve visual perfection. No longer do we have to stand for this travesty! 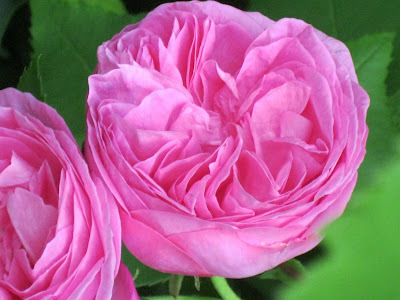 Ladies and gentlemen, I bring you David Austen's Gertrude Jekyll, a Modern Country rose at its best! Obviously, I can't transmit it's scent to you (though I wish I could) but please believe me when I say it is divine. 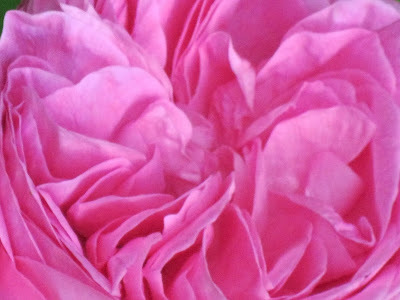 The kind of smell that makes you want to bury your face in the soft petals and inhale forever. Mmmmm. This year, my Gertrude Jekyll rose is smothered with flowers. We've had a lot of rain over the past month and they seem not to have spoiled, as some roses do. My one slight sadness is that their heads do droop somewhat. In fact, the whole plant is a little bit floppy (some might say 'delicate'!) and needs a helping hand supporting. With firm scaffolding in place, though, it is a sight to behold. 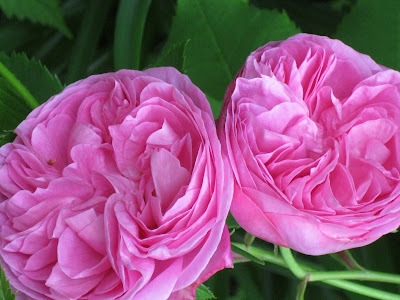 Gertrude Jekyll grows to about 6-8ft left unchecked (virtually a mini climber) or can be maintained as a shrub, flowering repeatedly throughout the summer. 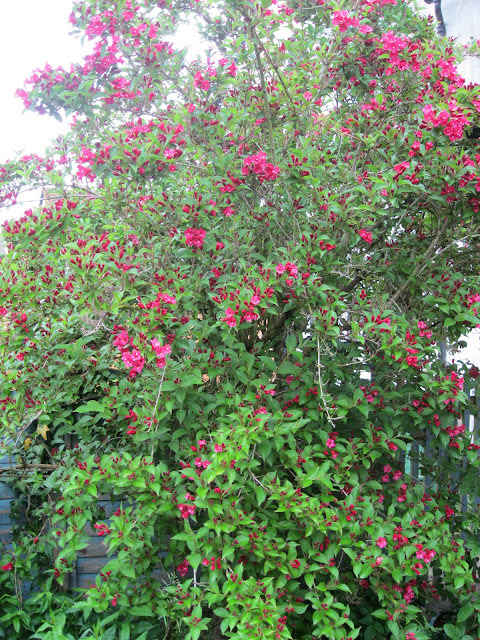 It has dark green foliage, which is a sumptuous bronzed red when young. 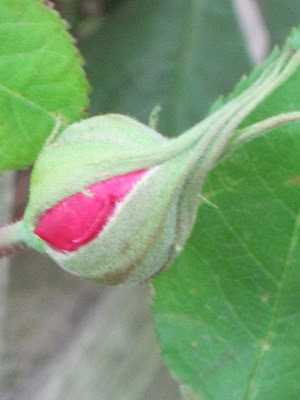 The buds are beautiful and the open rosettes ( a medium pink) exquisite. Don't you agree (how can you say no?!) that David Austen's Gertrude Jekyll rose definitely deserves its place in any Modern Country garden? 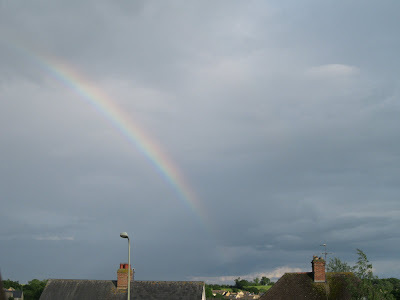 Aren't rainbows the most wonderful thing in the world? 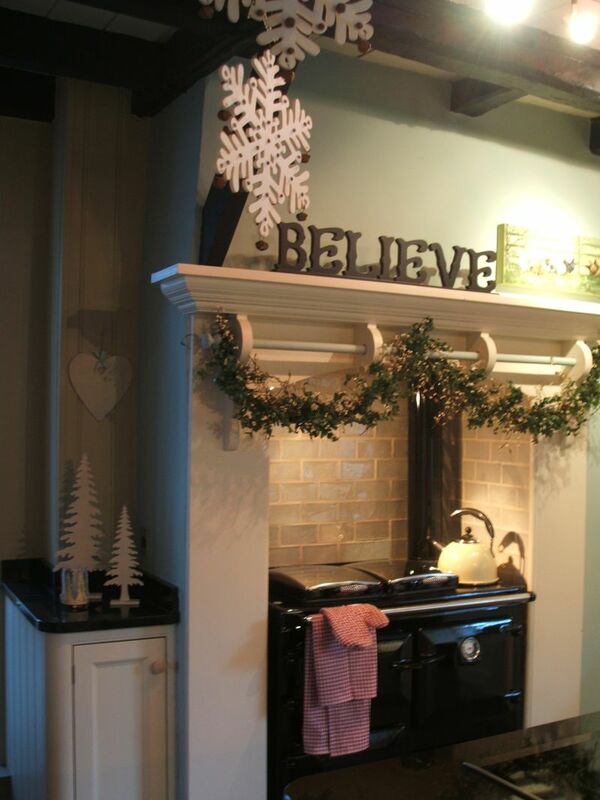 I think they make the best decorating efforts ever look drab and dreary. 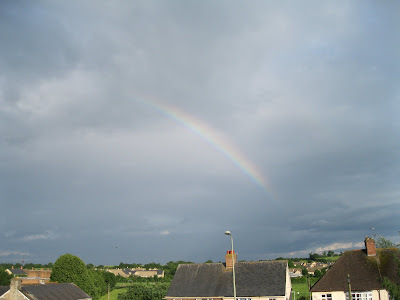 To have such profound beauty in the middle of dull grey skies is amazing. There is nothing else that lifts my spirits quite as much. Aren't they beautiful? They are from Mr Modern Country. I adore lilies. These smell heavenly. I am feeling very happy. 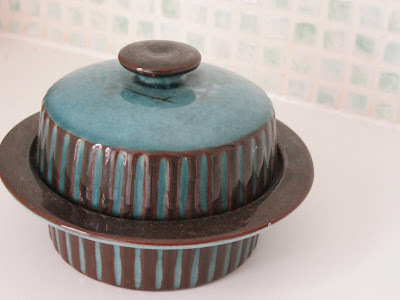 I found this gorgeous pot in a charity shop locally and snapped it up. 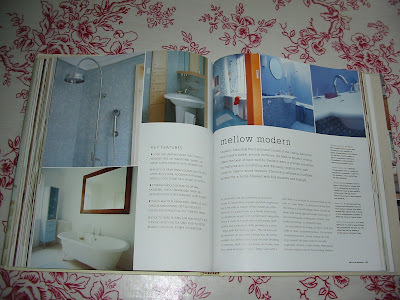 The colours are gorgeous and match the bathroom to perfection. I wonder where it's been before my home? Hasn't the weather been glorious? 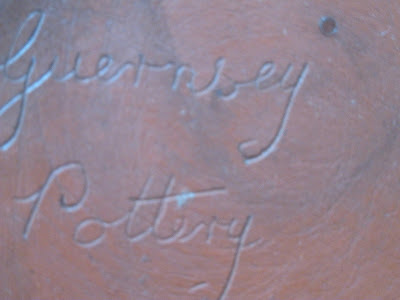 Absolutely perfect for pottering about in the garden. 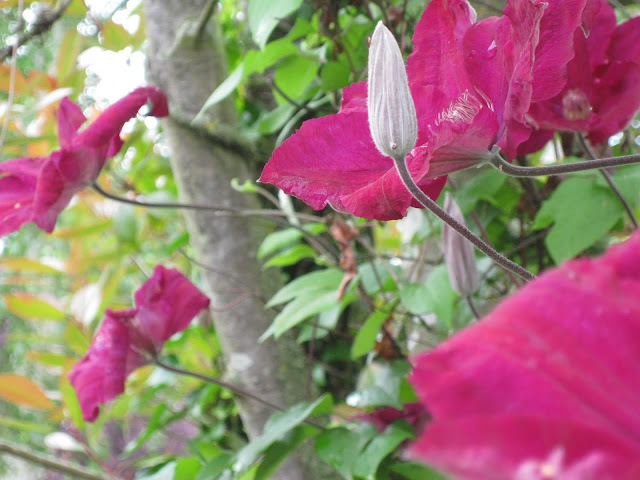 At this time of year, our garden is predominately purple with a smattering of pink. I try not to think of my junior school uniform! I love June in the garden. Although there is much more to come (perhaps the potential is part of the allure), what there is looks utterly fresh and the garden is bursting with life. Hardly anything has gone over yet so I can revel in my efforts to keep it looking tidy. Whiling away a couple of hours in the garden while the children chatter around me is my idea of perfect Modern Country living. 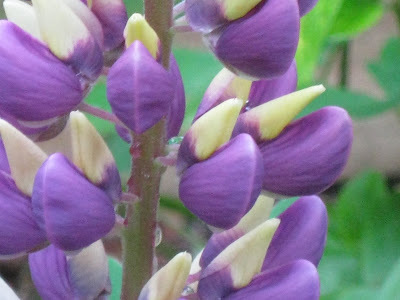 When I first discovered gardening, I loved trying to grow from seed. The thought of growing a beautiful plant from that teeny tiny speck seemed like a miracle. Where does it all come from? Amazing! However, I have made an important discovery about my gardening self. Little seedlings need watering, little and often. I always, always forget at some point in their little lives....or, in my hands, their short little lives. I am much better if, instead of growing a whole plethora of seeds, I focus on just a couple. This seems within my limited capabilities as a seed-grower. 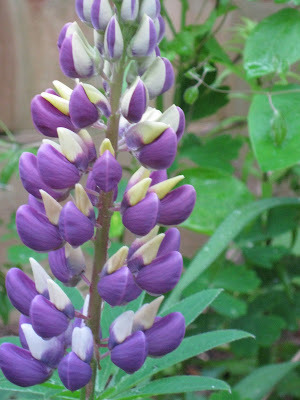 This year, I am growing two types of foxgloves from seed. I planted them out two years ago and this year I am thrilled to report that they have flowered gloriously for the first time. Sumptuous gorgeousness supplied by Mrs Modern Country and a seed. Hooray! Being in my garden is one of my favourite places to be. I find it so relaxing, even if I am slogging away. So soothing, somehow. All the cares of the world melt away. 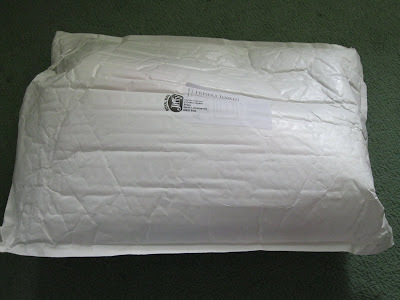 Isn't it wonderful opening parcels? Yes, a new set! 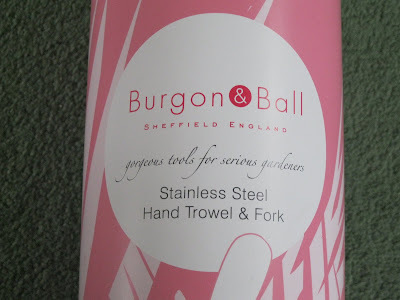 This time it's a beautiful Burgon and Ball Hand Trwel and Fork set. 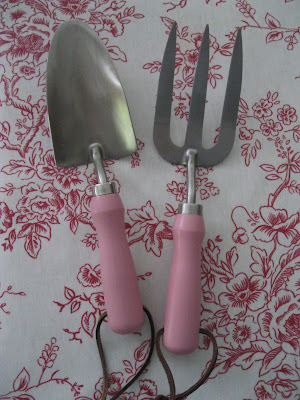 A Modern Country girl can never have too many gardening tools. 'Gorgeous tools for serious gardeners'. Could there be a more enticing strapline?! I think not. They look great. 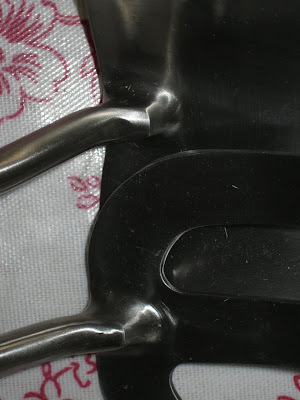 Look at how the heads join on to the handle - all one piece of stainless steel, which means there is no joint to weaken. 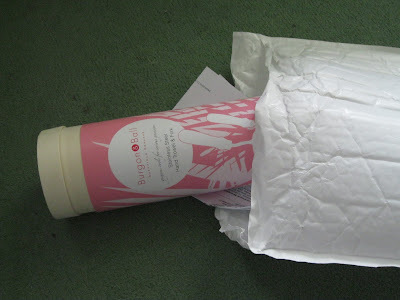 The handles are pink (the gorgeous bit!) so there will hopefully be no more losing-tools-in-the-garden traumas (although that does mean no "so *that's* where it is" fun in the winter when everything has died back and I uncover all sorts of things!). I'll let you know how I get on. If you hear a scream, that'll be me mourning another bent trowel. Can cats have puppy love? !